I have been searching for years for ways to help my son with his anxiety, and digestive issues. It is hard enough to be a kid without having to worry about when your body is going to go into overdrive and make you panic suddenly even when you know you are not in danger. Or when you go out to eat and your stomach suddenly decides that it doesn’t want to have what you just ate any more. And self esteem goes down the toilet when there are side effects to the things that are supposed to help you like weight gain and insomnia. That is no life for a kid. Unfortunately, it is the “norm” lately for so many kids. I hear stories all the time about these struggles and the struggles to find a solution that works. I tried many different avenues over the years including traditional medicine, and then I started studying brain and gut health and opened up a whole new world. I never realized before how connected our brains and our guts are. My research uncovered amazing information about our second brain being located in our gut, and how if that brain isn’t healthy it will in turn affect our first brain as well. All these issues like anxiety and depression, actually originate in the gut. Who knew!? My son used to have severe anxiety attacks and it caused him to miss a lot of school and even to miss out on a lot of fun times with friends. He would have trouble sleeping and only slept a couple hours at a time and then would wake up. Then back to sleep and repeat. Going out to eat was always a challenge because more times than not he would eat the meal and before we were even back in the car he would be throwing it up suddenly and it would happen at home as well depending on what he ate. Exercise was a challenge because his bones were not good. He had 2 knee surgeries on the same knee for his bone deteriorating. No kid wants to hear that they can’t run and play like everyone else! I wanted to see my child thrive and I knew that in order for that to happen it was going to be up to me. Doctors can only help so much. They don’t know your child like you do. They just know the symptoms that are occurring. That is why parents need to be advocates for their child and not be afraid to be proactive or disagree with what a doctor is presenting as a solution if you honestly feel it would be or is doing more harm than good. Doctors need your support as well. The goal should be a partnership with your doctor when you find the right one. They need your input and ideas and you need theirs. It just needs to be a collaboration, not a dictation. As a certified health coach, one of the things I study is the Gut Brain connection. Most people don’t realize realize they have a second brain in their gut. And that your gut healing is what will help heal your anxiety, depression, GI issues, etc. I never knew that until I went to school for health coaching. Then I became fascinated with it. And started experimenting. The latest scientific research shows that most disease (neurological, digestive, autoimmune, fatigue, metabolic, inflammatory responses etc) and mental health issues (depression, anxiety, ADD/ADHD, spectrum disorders etc) originate from the gut, the brain and the body’s ability to communicate between the two via neurotransmitters such as serotonin, dopamine, endorphin’s etc. This was a book that not only could I not put down, but I re-read a second time and highlighted throughout so I could help my clients with this now that I have seen amazing results with my family. We also have been blessed to be introduced to the Amare protocol for gut healing that has been amazing. We have gotten heightened focus and mental clarity, increased energy, amazing sleep, joint relief, digestive support (now my son can finally go out or eat whatever he wants to and have large meals without vomiting them up shortly after.) and better moods. I personally went from feeling sluggish and unfocused to being extremely productive and having energy to do things with my family and friends that I would have previously passed on because I was too fatigued. My memory is so much better too. I was at a point where I would actually forget where I was going when I was out which is a whole new level from I forgot where the car keys are! I now am clear and don’t feel foggy all the time. Here is what we did to start and I highly recommend it! 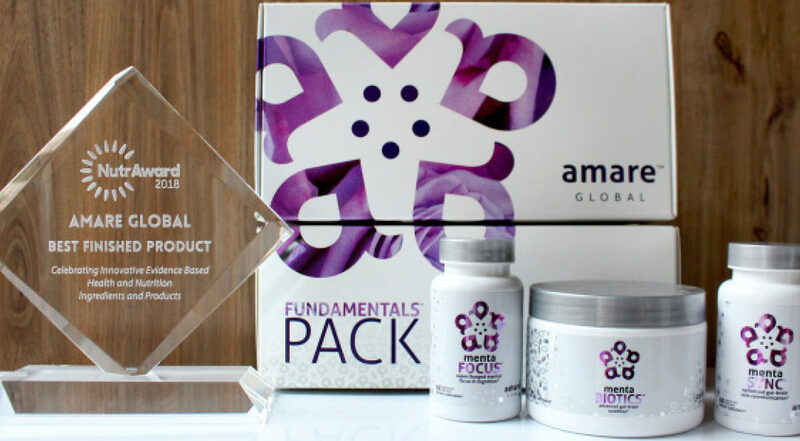 The 3 Day Gut Microbiome Reboot comes FREE with your (award winning) Amare Fundamentals Pack order – keep the Subscribe & Save check box checked (can cancel at anytime) and add on an additional FREE product of your choice. My recommendation would be Mood+ which has been shown to decrease stress related symptoms by 70% and has had a huge life changing impact on our family. You can order direct at www.myamareglobal.com/11237 or I would be happy to chat with you and see what the best protocol would be for what you are experiencing. You can set up a time to talk with me at https://meetme.so/erinalli. My passion is in helping others to overcome these same issues, whether for themselves or for their child. I have the tools and skills to be able to help. I long to see people living a happier, healthier life and being able to really LIVE and not just be observers in life. If you have any questions at all please don’t hesitate to reach out!